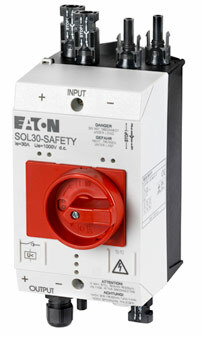 In order to adhere to fire protection in photovoltaic installations, a variety of measures are necessary. The following points outline some of those measures. If lightning protection is already installed, or depending on the risk assessment, incorporation of the lightning/overvoltage protection is required. The selection of components with regard to maximum temperatures in and around the distribution boxes must be taken into account. Quality control of the electrical connections is important. 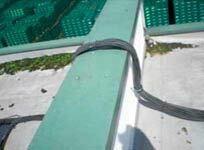 (Transformer) fires frequently occur due to arcs on defective cable inlets. The distances of the inverters from the sides and adjoining building parts is important. Additional requirements, such as DIN 182234, must be fulfilled for industrial and functional buildings. No fire areas may be built over. 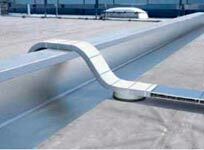 Firewalls are frequently built over, especially in elevated roof systems. Care must be taken with the selection of fuses. The manufacturers’ information must be noted with a parallel connection of several strings. 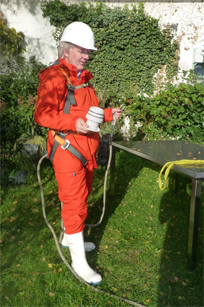 Direct current wiring must be permanently adapted to weather conditions. Extremely high temperatures occur with arcs. Installing a fireman’s switch (photovoltaics) is recommended. The codes of practice (requirements for installation in the DC area of a PV installation) VDE AR E 2100-712 are currently being laid out.